Why bring it to Hampton Toyota? Because Hampton Has It! FREE SHUTTLE SERVICE. Drop your car off for service and we'll bring you back to where you need to go, as well as pick you up and bring you back to Hampton Toyota when your car is ready! Valid within the Lafayette, LA area. GREAT LOUNGE AREA. Large comfy chairs, kid's play area, big screen TV's, free cookies, popcorn, & coffee. COMPLIMENTARY WIFI for your browsing desires. "QUIET ROOMS" available for when you need to get some work done. Valid only from March 29th 2019 to April 30th 2019. Toyota and Scion vehicles only. Includes 2 years of FREE road hazard warranty! PLUS: Add a 4 tire alignment service with your new tire purchase and receive 2 years of complimentary tire rotation and complimentary nitrogen fill. Applicable only to the same set of 4 tires and vehicle involved in original tire purchase. Restrictions apply. See participating Toyota dealer for details. Offer valid on select brands. OEM, OEA and WIN replacement tires only. Tires must be dealer-installed. Three tires at regular price, fourth tire at $1 charge. Fourth tire must be of equal or lesser value. Excludes mounting and balancing, sales tax, shop supplies, tire disposal, and other applicable taxes. Excludes prior purchases. Toyota, Lexus, & Scion vehicles only. Not valid with other offers. Valid at Hampton Toyota only. 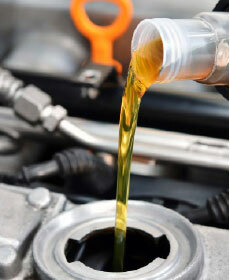 $34.95 for all oil changes, up to 5 quarts. Includes oil and filter. Does not include state and government taxes and fees. Conventional motor oil only; synthetic motor oil will be extra. Includes up to 5 quarts of conventional motor oil; if your oil change service requirements require more oil then your specific costs will be higher to account for the increased oil and specialized oil filter. Applicable to Toyota, Scion, and Lexus vehicles only. Complimentary laser alignment check with any service on Toyota, Scion, and Lexus vehicles only. We'll print out the laser alignment results and show you if your car or truck tires are in, our out, of alignment, allowing you to schedule the corrections the same day, or at a later date. 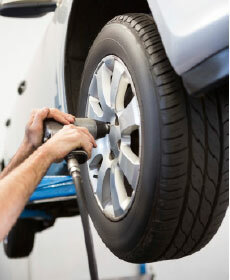 "Out-of-alignment" tires cause them to wear out much faster, as well as increase fuel costs. Inquire with your service advisor at time of check in. Toyota, Scion, and Lexus vehicles only. We'll have one of our certified technicians look over your vehicle and visually inspect it for any readily apparent service and maintenance needs, give you an estimate to repair it, and discuss with you what is really urgent or what can wait. Toyota, Scion, and Lexus only. Military and First Responders only. Hampton Toyota is currently offering 10% off the labor charges on any service or repair for all First Responders and Active Military personnel. You help us, we want to help you! Simply mention this offer at time of service check-in. Must provide proof of First Responder and/or active military status. Not valid with any other offer, or previously performed service work. Hampton Toyota is currently offering 10% off the labor charges on any service or repair to senior citizens! Simply mention this offer at time of service check-in. For seniors aged 67 or higher. Not valid with any other offer, or previously performed service work. 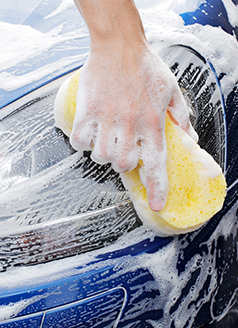 Complimentary same-day exterior wash with any service performed on Toyota, Scion, and Lexus vehicles only. Keeping your Toyota in top running condition with regular service is important, and Hampton Toyota wants to help. If you have questions about any of our specials, just ask! Service Specials Coupons can make it owning and taking care of your Toyota easier. Bringing your car to Hampton Toyota for service can be a hassle-free experience!